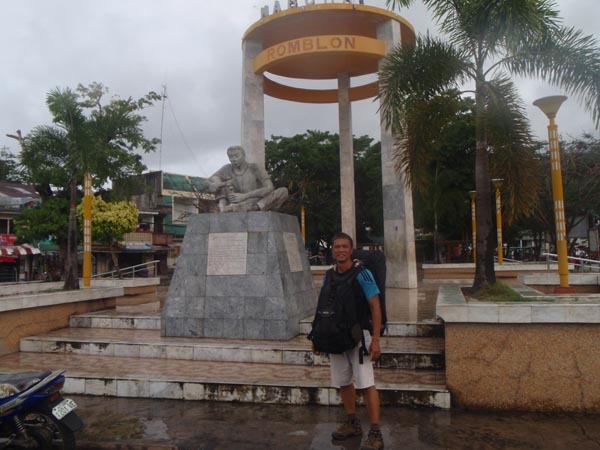 Finally, I was able to finish my work backlog in Odiongan, Tablas. 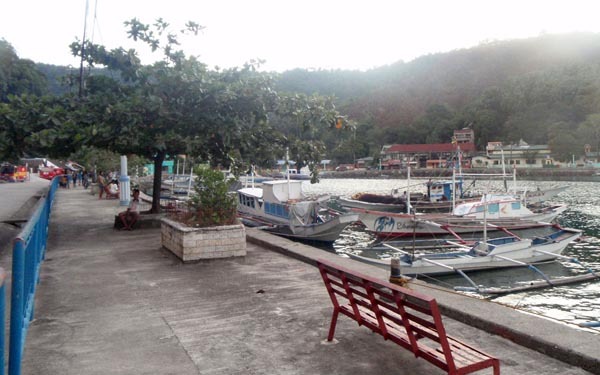 It was time to move on to Romblon Island and discover what they say about its dive offerings. 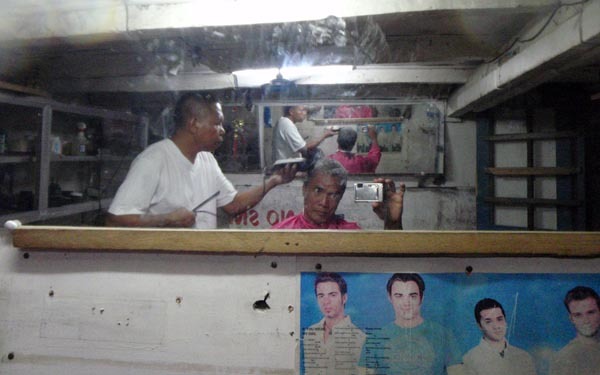 At the jeep bay, I got into a small talk with a German guy, Heinz, who has been around the Philippines a long while. He speculated that his local host in Romblon might be able to accommodate me for free. Not knowing where I stay for the night, I agreed to tag along with him. Making the long story short, I met his host Atoy (who runs a local marble business - Palmarble), met the host's neighbors (Mr. Benedicto who owns Nonok Beach Residences), and I ended up giving Heinz a free room instead. 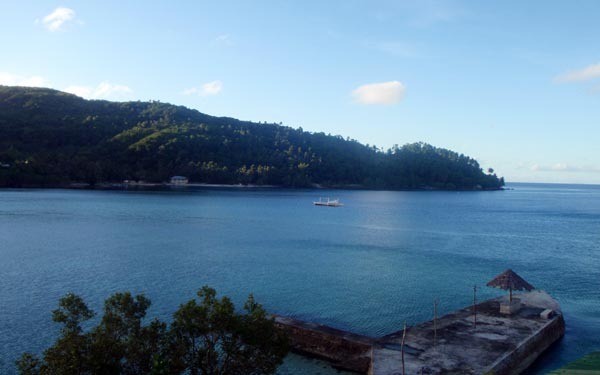 My first night in Romblon Island was in Nonok Beach Residences - lovely view of the water from the 3rd level balcony. 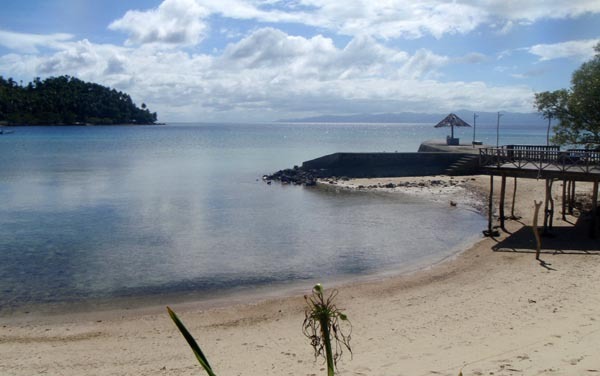 The white sand beaches are just to the right of it - Tiamban Beach, Margie's Beach and Bonbon Beach. 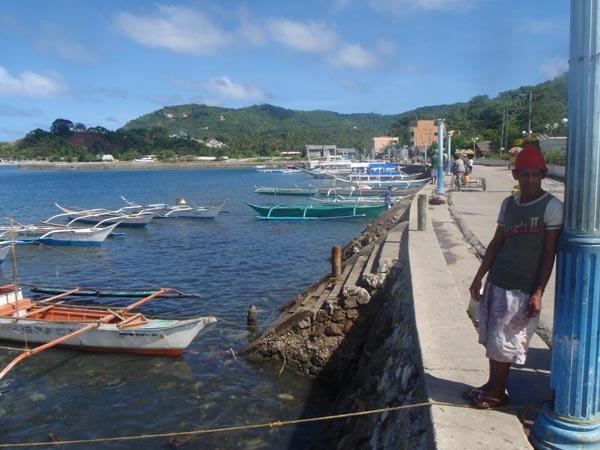 What struck me as the boat was entering Romblon harbor, was its look and feel. It looked like a scene from St. Tropez or Nice (south of France). 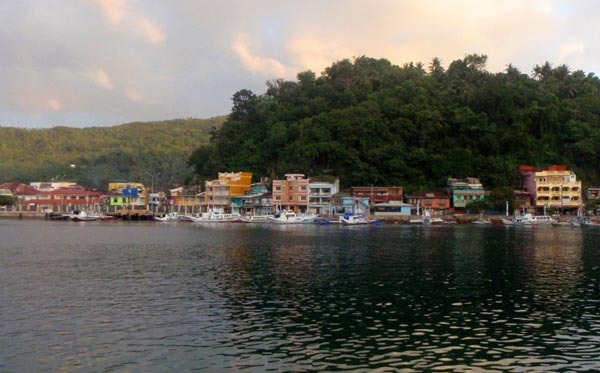 It had an almost European flavor to it - quaint buildings along the harbor as boats are moored on the sea wall lining up the coast. It had an almost Mediterranean feel to it. Hmmm...maybe they serve Bouillabaise too. Already, I had a good feel about this island. 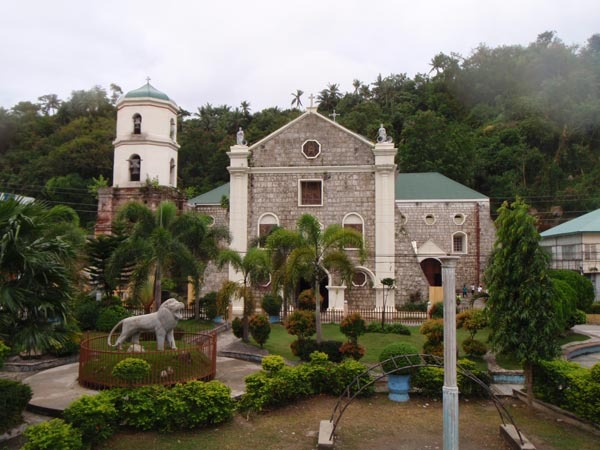 Marble is plentiful in Romblon Island. 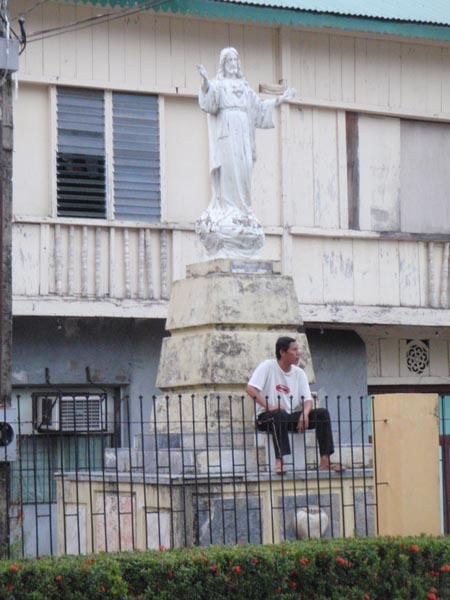 It's the marble capital of the Philippines. Nearly everything they can make out of marble is done with marble - some bordering on over-the-top and disbelief; an outdoor business sign, a one-piece marble bath tub, a kid toy car (weighing 3 kilos!) and yes, even is the common rip-raf or wall fence is made with marble. It's cheap too. A small pestle and mortar is only P45 (~US$1.00). A marble worker I met on the boat said the marble in Romblon is of high quality. Unlike the marble of Mindoro, Romblon marble doesn't shatter easily when dropped. Later that day, I walked the nearly 2km in the dark (with barking dogs and all) to the 3P Resort to talk to the owners about my plans to develop Romblon as a tourism portal on my online travel directory. I met with Kati and Philippe. 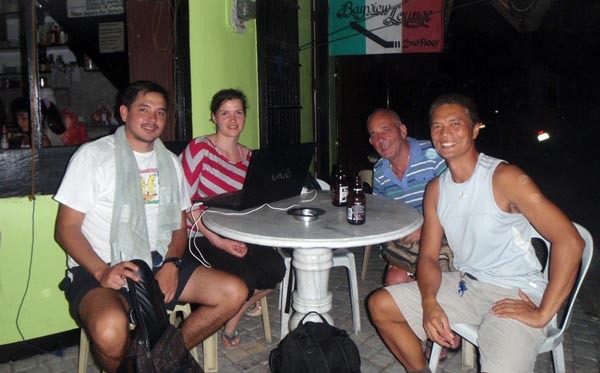 It was an engaging conversation as we talked about Romblon, diving, marble and tourism. Philippe was kind enough to give me a lift back. At least I won't have to worry about the dogs. Thank you, Philippe. 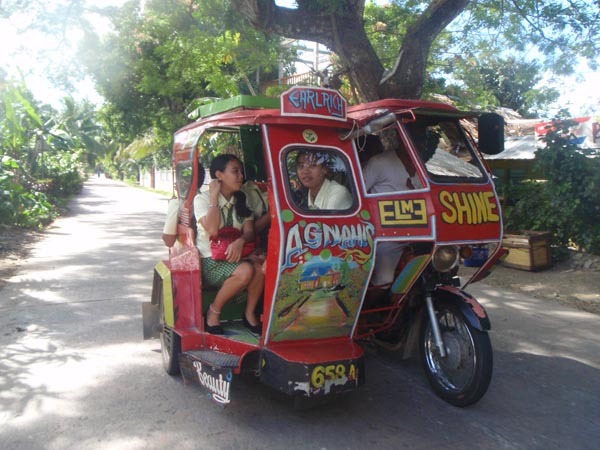 Transport to town from Nonok is a wait and an added expense. But I wanted to immerse myself in the town flavor. I had to move out. 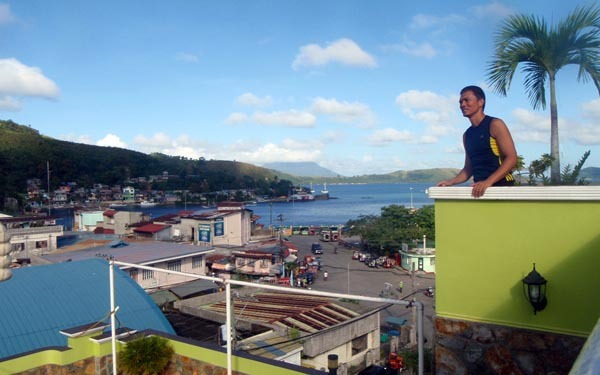 The following day, I managed to stay at Romblon Plaza Hotel. It's location is spot-on, being in the heart of town. The open roofdeck with native bamboo huts provided a panoramic view of the harbor, the water, and the street level commerce. From the hotel, I would walk and walk around town, discovering for myself where to eat, how much to pay for tricycles, the different hotels, tourist attractions, etc. One advantage of not having to go back to a home is that I'm not in a rush for anything. I took my time, taking my leisurely pace exploring this wonderful place. There are good carinderias for cheap eats, but if you want an expat flavor, the default places in town are either Romblon Deli or Republika. I would stop by the Deli for an afternoon beer and just look at people passing by. Every passing day brings promise of something new. I love this new place. It generated the same excitement I felt for Coron and Sagada. For now, I want to stay longer and discover more. 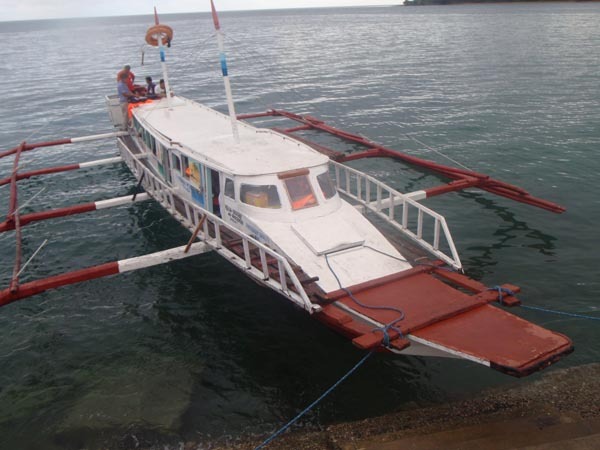 There are a few trips by land from Odiongan to San Agustin, the jump-off to cross the water to Romblon Island. There is the 2am 'sahod barko' (picking up boat passengers), the 5am and the 8am. 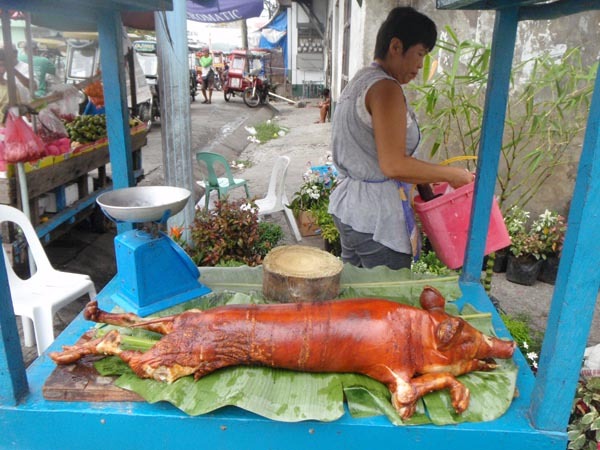 Go to the Odiongan Public Market and take the jeep from there - 2.5 hours, P120. 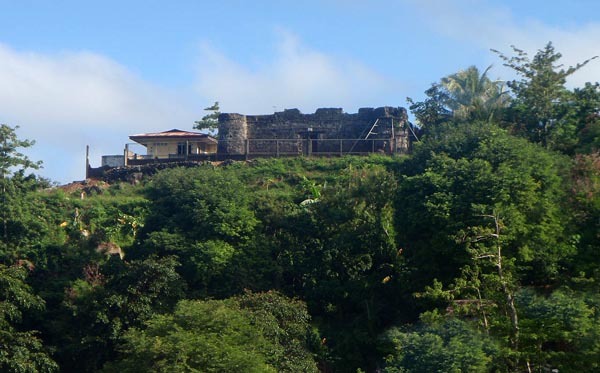 You'll be arriving San Agustin at 10:30. 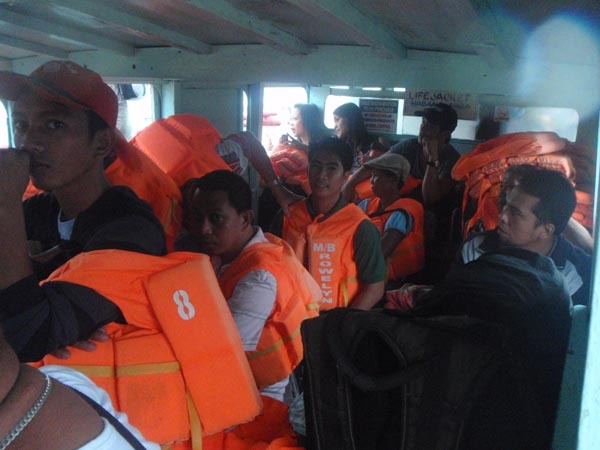 Wait for the 1pm Romblon-bound pumPBoat - P100, Terminal Fee P10. 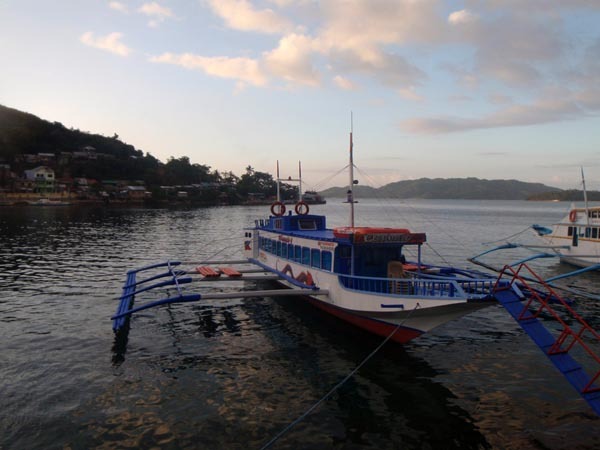 Boat trip takes 1 hour, arriving Romblon port 2pm. 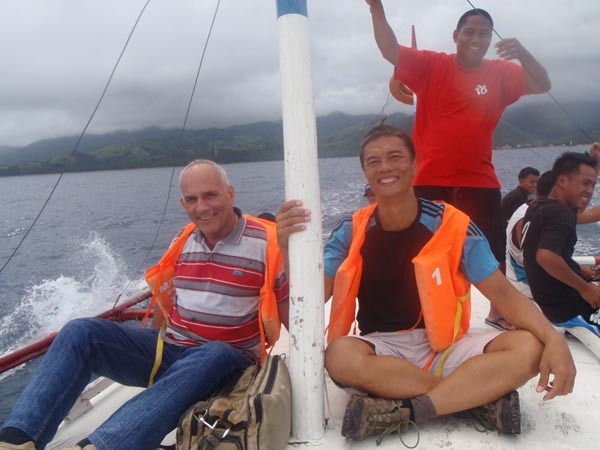 Alternatively, you can take the Montenegro ship around 2am from Odiongan pier, going straight to Romblon Island.